The sugar regime is back in the news thanks to a squabble over Mexican sugar imports. Mexico is by far the largest sugar supplier to the U.S., exporting more sugar here than all other nations combined. This is a huge windfall for Mexico because U.S. prices are routinely double or triple the world sugar price. As part of the North American Free Trade Agreement (NAFTA), Mexico was granted special access to the U.S. market. However, Mexican and U.S. government officials strongly disagree over the details of how many benefits were promised to Mexican sugar growers. The years-long controversy recently spurred the Mexican government to cancel all sugar export permits. The sugar squabble is typical of NAFTA’s convoluted rules and helps explain why the final deal was more than 1700 pages long. NAFTA was never intended to result in free trade. Instead, NAFTA is a trade preference agreement akin to the “imperial preference” that Great Britain once provided for members of the British Empire. NAFTA did not reduce U.S. trade barriers for the entire world, but instead specially lowered many barriers for two trading partners. NAFTA actually gives Mexico an incentive to lobby to perpetuate U.S. trade barriers – at least on every other nation. Free trade is a font of good will between nations. But NAFTA-style managed trade sows as many disputes as there are lawyers. The sugar hubbub is only one of an array of squabbles that impeded willing sellers from reaching voluntary agreements with willing buyers on the other side of the border. The sugar program illustrates why politicians cannot be trusted to competently manage anything more complex than a lemonade stand. In 1816, Congress imposed high tariffs on sugar imports in part to prop up the value of slaves in Louisiana. In 1832, a committee of Boston’s leaders issued a pamphlet denouncing sugar tariffs as a scam on millions of low-paid American workers to benefit fewer than 500 plantation owners. In the 1890s, Congress first abolished and then re-imposed the sugar tariff, spurring a boom-bust that ravaged Cuba, spurring an uprising that helped drag the United States into the Spanish-American War. Despite perpetual aid, the number of sugar growers has declined by almost 50% in recent decades to fewer than 6,000. Federal policy failed to countervail the fact that the climate in the mainland U.S. is relatively poorly suited for sugarcane production. 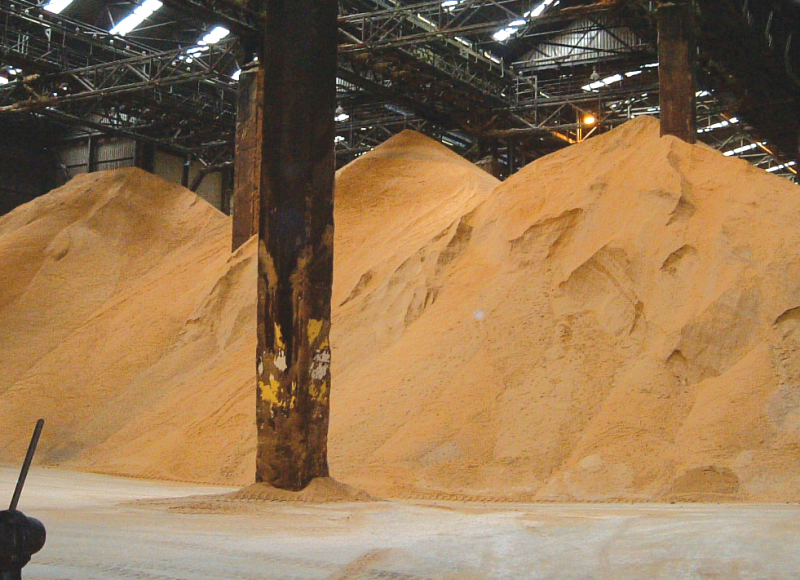 The only thing that could make U.S. sugar farmers competitive on world markets is severe global warming. Federal sugar policy costs consumers $3 billion a year and is America’s least efficient welfare program. In the 1980s, sugar import restrictions cost consumers $10 for each dollar of sugar growers’ income. The USDA ceased tracking sugar farmers’ income, but a University of Minnesota study estimated that sugar-beet farmers in that state lost an average of $300 per acre in 2013. Actually, the sugar program imposes costs on other farmers, since heavily-subsidized beet farmers bid up farmland rental prices higher than they would otherwise be. At a time when the U.S. government is endlessly hectoring Americans about their diets, federal sugar policy may be partly to blame for the skyrocketing rate of diabetes in recent decades. In 1984, Coca-Cola and Pepsi replaced sugar in soft drinks with high-fructose corn syrup – which has a more stable supply and is cheaper. Many other food producers followed suit, and Americans now consume 55 pounds of high fructose corn syrup a year – more than any other nation on earth. A 2012 study by the University of Southern California and the University of Oxford found that nations that heavily rely on high fructose corn syrup in their food supply have a “had a 20 percent higher prevalence of diabetes than countries that did not use” corn syrup. The study found that the diabetes rate was sharply higher regardless of the obesity or total sugar intake level of residents in those nations. The only way to fix the sugar program is to abolish it. Sugar subsidies are also hell on alligators. Because the U.S. mainland does not have a natural climate for sugar production, farmers compensate by dousing the land with chemicals to artificially stimulate production. More than 500,000 acres of the Everglades have been converted from swamp land to sugar fields. Over the years, phosphorus from the fertilizer used by sugar growers leached into the water of the Everglades and helped destroy the ecosystem of the entire region. For more than 20 years, local and federal politicians have promised one “fix” after another to curb the damage, but the ravages continue. The sugar lobby showers Congress with money, including almost $50 million in campaign contributions and lobbying between 2008 and 2013. In return, members of Congress license sugar growers to pilfer consumers at grocery checkouts and rob hardworking Americans of their jobs. There is no evidence that pro-subsidy members of Congress have lost any sleep over their role in spawning an epidemic of diabetes. Federal sugar policy is a stark rebuttal to anyone who believes that moderate reform will end the poxes that Washington inflicts on the nation. There is no reason to expect politicians to learn from mistakes that impoverish others while enriching their reelection campaigns. The only way to fix the sugar program is to abolish it. And the only way to achieve free trade is by razing trade barriers without any 500-page appendixes. James Bovard is the author of ten books, including Public Policy Hooligan, Attention Deficit Democracy, and Lost Rights: The Destruction of American Liberty. Find him on Twitter @JimBovard. This article was originally published on FEE.org.